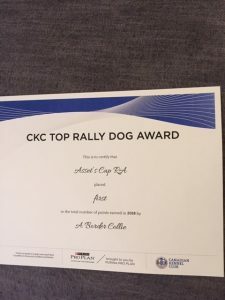 Yes we did it again…Asset Kennels is proud to own and handled the #1 Border Collie in Canada in CKC for Rally Obedience. 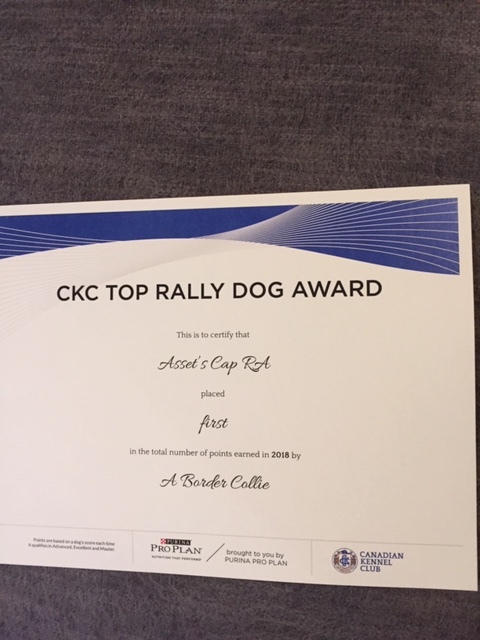 This year the award goes to Asset’s Cap, Woof. 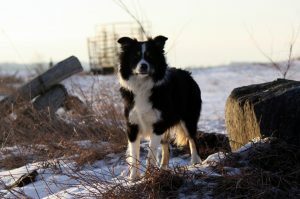 He is the son of Ice who won it last year, so truly keeping it in the family! CH Asset’s I’m on Fire RN CGC is recognized as an Achiever Dog!